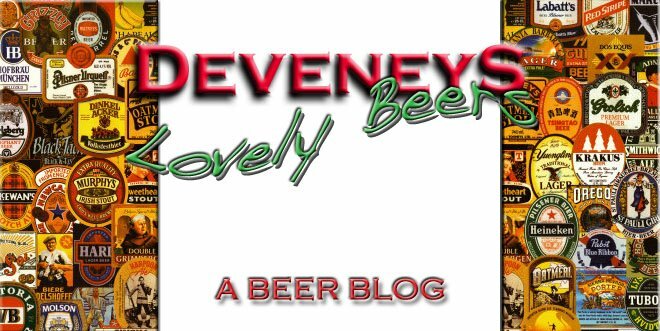 Deveneys of Dundrum: Lughnasa Beer Festival - The aftermath. Lughnasa Beer Festival - The aftermath. When plans took shape last February for a bottled beer festival to follow the successful 1st attempt, I had no idea or expectation that the response would be this positive. My Grandmother Betty passed away 2 weeks before the event last Friday and although I wouldn't regard myself as a very Religious person, I pulled every string up there to get the sunny evening we were graced with. Including a special prayer at her funeral to grant me one nice evening in August. She definitely did that! We had a full house, people queuing with or without tickets and unfortunately those without were turned away because we barely had room for those with! 14 Beer Stands showcasing the best Irish and foreign beers available in bottle format. The four great Irish Breweries - Clanconnell, Carlow, PorterHouse and Dungarvan each had individual stands plus Hilden and Strangford made cameo appearances. - Brewdog Brewery. Stewart one of the Scottish brewers made it over to talk ticket holders through almost the entire range excluding ''TNP'' - unfortunately!! but their 18% ''Tokyo'' was available in half measure quantity. ''Trashy Blonde'' and ''5am Saint'' were serious contenders for the most tasted and liked. - Crabbies alcoholic Ginger Beer was a huge hit, served from the Crabbies tour bus with a slice of lemon and some ice. Serious crowd pleaser and not just with the girls!!. - Mc Chouffe, the Belgian great. Always a firm favourite at our beer club but nice to see it was very much appreciated by a wider audience. - Aspall's Cyders, these guys were a massive success at our first beer festival and they seemed to be just as popular on Friday. - Samichlaus - Santa Claus beer, a sweet heavy style of 14% beer. Christmas spice and plum fruit. Really unusual and everyone wanted to get a taste. - Speakeasy Prohibition. An American micro brewery I.P.A. - Kasteel Cru rose got a great reception and Blue Moon also proved to be very popular. - Dungarvan Helvick Gold was a firm favourite according to all those that posted up on Facebook or got in touch via Twitter. - O'hara's Irish Pale Ale is a massive favourite of mine and also got a great response on Friday night. I am delighted to say that I didn't hear of one disgruntled attendee. The venue at some stages got a little too cosy but ''Prison Love'' managed to keep everyone squashed and sane. Suzanne Purcell did an amazing acoustic set in ''Crawdaddy'' and ''Ludwig'' the ''German Brewer'' from Paulaner kept the crowd entertained and educated! 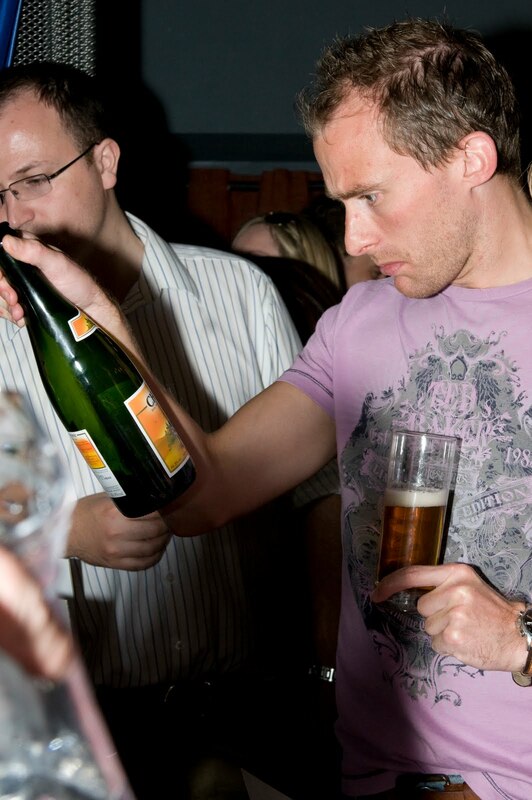 I think almost everyone left the festival with a lesson on ''how to pour the perfect Paulaner'' in their back pocket. Thanks to everyone involved. Especially to the gorgeous ''Deveney's Beer Girls''. Hope you all enjoyed it and to those that couldn't attend - hope I get the opportunity to do it all again!! those with a bit of glick quickly coped that 2 X €1.50 tickets got you basically an entire bottle. Which is way way less than off licence or as we discovered later that night B&C prices. You look good though Brian - as the 5am saint! Delighted to see that you were having such a great time!!! Shame I had to miss it but I had to head to dungavan for the brewey tour and camping trip.